Negotations have failed! 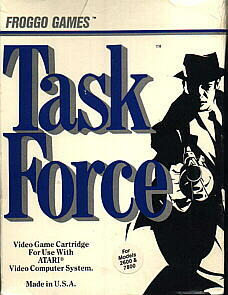 So your anti-terrprist Task Force is the last hope for hostages held by deadly terrorists in a hihrise building. You have wire-guided missiles, but the terrorists never miss when they shoot at you! You have to fire fast when they step into an open window. But look before you fire, because they shield themselves behind hostages. If you´re good enough to wipe out the first thress nests of terrorists, you´re forced into a treacherous night rescue. You´ll have to fire into the dark at the last spot where you saw a moving body. Can you hit it? Are you sure it was a terrorist and not a hostage?